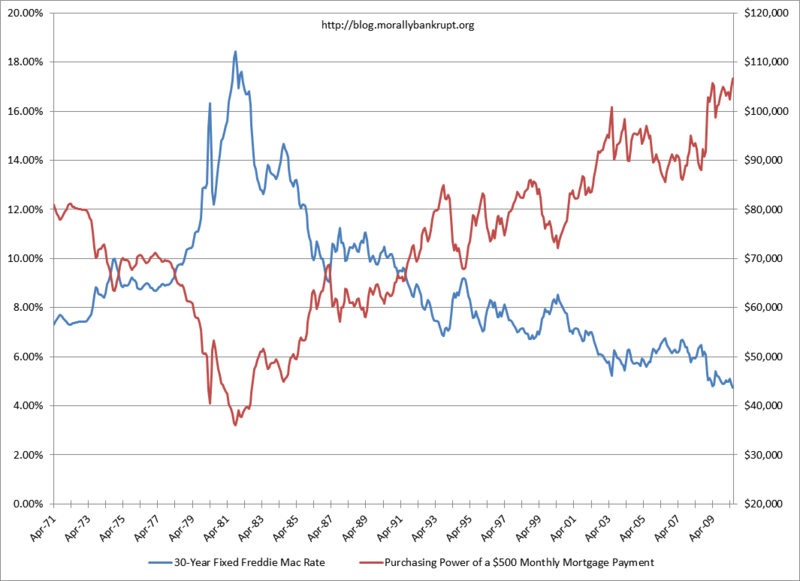 To better realize the effect of interest rates on mortgage borrowing capacity though, it makes more sense to look at them both in a time line. 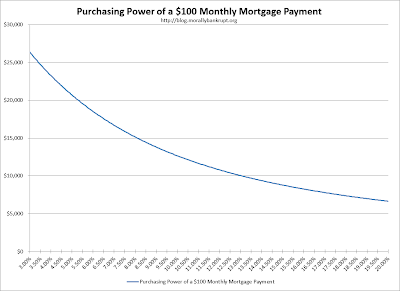 As you can see below, the buying capacity of $500 has varied very widely over the last 40 years, although it has increased dramatically since 1981, when interest rates began a 30-year decline after Paul Volcker's Fed began aggressively fighting inflation in 1979. 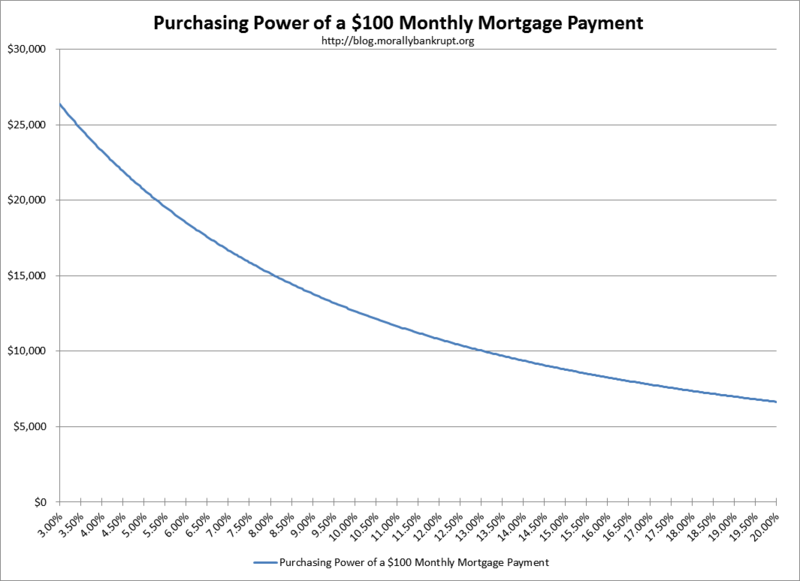 Please note that the purchasing power of a $500 monthly payment number assumes a 10% down-payment. That's all for this introductory post. 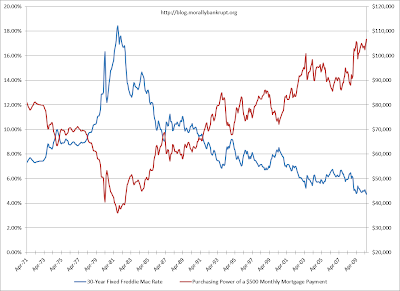 In the next post I'll address how buying capacity has changed with respect to both interest rates and wages, and how declining interest rates have allowed for an increasing standard of living even as wages have grown at a slower pace than home prices. With the passage of time and extremely good response of the people, the number of these societies has increased a lot.